Advocating for herself and others is motivating to Jennifer McLaughlin. Jennifer, 41, grew up in Baltimore City and never had an example of stable housing. Her parents became homeless when she was just three years old, and she was placed in the foster care system. After a couple of years in the system, she was reconnected with her family again. Unfortunately, their time together was short-lived, and Jennifer moved out when she was just 15 years old. Jennifer describes the next few years of her life in Baltimore as very tough. In 2001, she moved to DC for a fresh start. With sadness in her eyes, Jennifer shared memories of staying in hotels and living place to place with her kids. “It was rough,” she said. 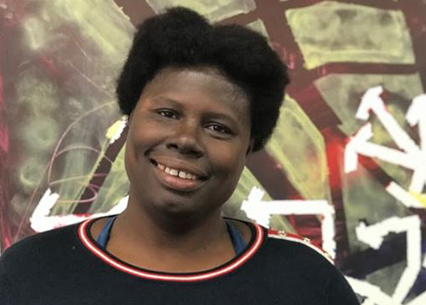 “It made me feel bad that I couldn’t provide for them.” After a short time living in a shelter, Jennifer knew that her kids needed housing and stability so she entered another homelessness prevention program in DC. Jennifer thought this would be the pivotal moment in her life – where things would change for the better. But things only got worse. Due to unsafe housing conditions, Jennifer’s chronic asthma was continuously triggered, prompting a final transfer to Community of Hope’s housing program. 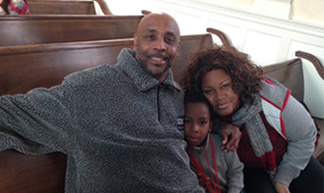 “I was glad to be finally connected to Community of Hope and receive permanent and supportive housing. After moving so many places, I was tired of my kids and I moving around so much.” Now, finally in a safe and stable environment, Jennifer is able to take full control over her health and her life. With the help of her case manager, Jennifer is able to learn how to budget her money, and the benefits of paying bills on time. She now understands the importance of financial literacy and hopes to teach budgeting classes for others in the community.